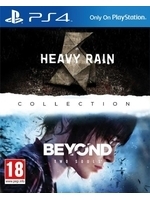 Here are a few videos of the PS4 edition of Beyond: Two Souls, which was just released on PSN for $29.99/€29.99. We will livestream the game tonight but only in French considering it's not really a new release per se. You're welcome to join us however if you want to see a bit more of the game and you don't mind all the French. Note: Our verdict on the PS3 version at the time of its release. I'm more interested in the other game. Will you upload Heavy Rain vids as well? Heavy Rain will only be available in March 2016. 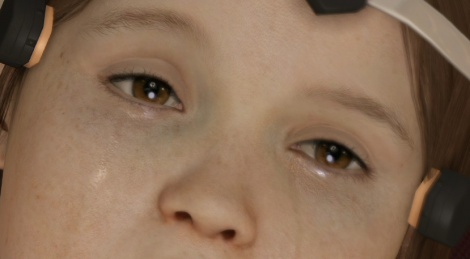 Beyond Two Souls is awesome, much better than Heavy Rain. I know what you are saying. I think I got to the quarter mark. Apparently in this version you can play the game in proper sequence of her going from young to older. I don't get why so many people hated it was out of sequence. I liked it because u had to piece together the story yourself. Its even explained at the end why its not in order. No chance, Heavy Rain was far better! Infact i'd even put Until Dawn infront of Beyond. I've always been meaning to play this and heavy rain, i'll be getting the retail combo version. So no 60fps then? how strange and disappointing. Looks like the only real issue is that it could use a good temporal AA solution. And in some scenario, the new lighting model makes the atmosphere not exactly the same as the PS3 version. Still one of my favorite games though. I really like the shuffled order of storytelling, and I know why so many people hated that, because it seems to be random. But actually no, if you pay a little bit more time into thinking about the story, you'll find the original order is delicately designed. It gives you a peek of what Jody was capable of, and then tells you how she grew up to be like this, and the many struggles she suffered within or without all along the way she grew up, and finally there goes the end of her story. I like it no matter what other people say about it. The games don't look that bad at all. If it's one thing though i don't like with many remasters, are missed opportunities to enhance textures. texture enhancements costs very little. Understandably many developers like to memorialize their work with fewer changes as possible, the problem is the value those remasters have. 4k is like the borderline limit with those games, you might not even see much difference between 1080p 4xAA and 4k. What u just said makes no sense. If its just a lazy port which is not btw then shouldn't that mean they have more rresources for new games? Also, what r u talking about no new exclusives ? In 2015 they had Order 1886, Bloodborne , Until Dawn, all new ips and a lot of awesome looking exclusives for 2016. I agree. I enjoyed Two Souls more. The story was more unique.